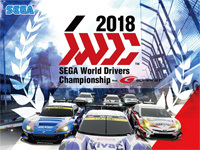 SEGA World Drivers Championship is released in Japan today. This racing game bears the official Super GT license and features 45 cars from both GT300 and GT500 classes (Toyota 86, Toyota Prius, Subaru BRZ,...). The game allows the player to become a member of a racing team where he aims to win the championship. He gets advice and cheering from the team between races and he can also listen to the team radio by pressing the red button on the steering wheel while driving. A driver's skill gauge is displayed on the screen while driving. It increases depending on how well the player drives. A LED indicator is installed over the steering wheel: it displays speed, gear, tachometer, specified speed information for each corner. SEGA World Drivers Championship uses the same cabinet as Initial D Arcade Stage Zero with a AIME card reader and a 6-speed speed shifter. Only the topper and the steering wheel are different: speeds can be changed on the steering wheel. Up to 10 players can compete online. The game uses Unreal Engine 4 to faithfully reproduce the Super GT cars. Gamers are generous! It's a fact! 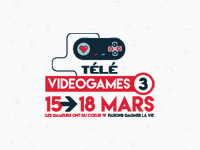 And it's time to show it again with the third edition of Telévideogames! This year, Les Players du Dimanche set the bar even higher with a 75-hour broadcast, live from Quai 10 in Charleroi. The goal is of course to earn a lot of money for the Télévie in order to fund research against cancer. During these 75 hours, many guests will appear on the show including Frédéric Zolfanelli (Sparadrap in n00b web-series) and many Youtubers such as Benzaie, Chef Otaku, Math se fait des films, Jojol 67, LucassTV, EXVSK, Beanie, DB Times, Gonzaroo, The Kairi 78, Kenny, Lucasha and Anthox Colaboy. Your generosity is rewarded because each donation will allow you to win many prizes including consoles, games and accessories. For the first time, Arcade Belgium joins the cause and will bring many arcade machines set on freeplay at Quai 10 for the duration of the show. Do not hesitate to come and play! The live broadcast will air on Twitch, Facebook and Youtube. It will start on March 15 at 6:00pm and wll end on March 18 at 9:00pm. You will find all the information on Telévideogames website. Another new game will grace the exA-Arcadia system: Heiankyo Alien 3671 developed by Mindware! Heiankyo Alien 3671 is an arranged version of the classic Heiankyo Alien arcade game released by Denki Onkyo in 1980. In this games, you have to dig holes to burry aliens in the ancient city of Heiankyo (a former Japanese capital city located where Kyoto is now). This new arranged version programmed by Mikito Ichikawa features beefed up gameplay, more speed, psychedelic graphics and great music by Wing☆ and Ibojima. Compared to the Steam version released last year, the arcade version will feature new modes, new items and 4-player gameplay! As all other exA-Arcadia games, it will support both 16/9 HD and 4/3 31k monitors. If you wan to try the game now, you can either purchase the PC version or go to Takadanobaba Mikado game center in Shinjuku where a location test is currently running. 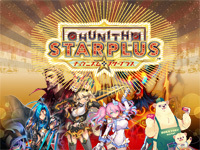 CHUNITHM STAR PLUS will be out tomorrow. In this new version, Sega added new songs in several categories: POPS&ANIME (Osomatsu-san, Urara Meirocho, Trinity Seven: Eternal Library & Alchemic Girl), niconico (wowaka, kemu), Tohou Project, Variety and Irodori Midori. There are collaborations with TV animes that will also start tomorrow: Eromanga Sensei, Nora, Princess, and Stray Cat and Re:Zero kara hajimeru isekai seikatsu. Attention, this is about a magazine written in French language. We all remember the time when we flipped through thick glossy magazines to discover the latest video games. It was the time of independent video game press with objective reviews that sometimes hurt the publishers; the time of French magazines Tilt, Consoles +, Joypad, Joystick, Gen4 and Player One. Of course we also read these magazines for the freedom of tone and their lighthearted and often irreverent articles. There were also exclusive reports revealing what was happening behind the scenes of the industry at a time when the internet did not exist (ah those reports in Japan!). In console magazines, there were always some pages that made us dream with games sporting splendid graphics never seen before and the promise of new sensations; these were the few pages dedicated to new arcade games! All this has been overshadowed over time by websites... But the good vibe is back with Player Spirit! A magazine devoted to video games of the last century. 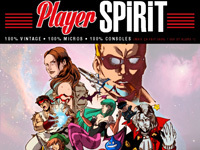 Created by Mathieu Manent (author of the Nintendo 64 and GameCube anthologies), Player Spirit brings together the dream team of the writers of that era with AHL, J'm Destroy, Matt Murdock and Ze Killer among others! Although devoted primarily to console and computer games, the first issue features several pages about the war between Sega and Namco in the arcades (a war that still continues today). A new issue is planned every two months. Each number costs €12.00. The first issue of 144 pages is available exclusively on the website of publisher Geeks Line (there are also several subscription formulas including one containing the SaturdayMan NES game cartridge). Have a good reading! Next Data Discs release will be the soundtrack of After Burner II composed by Hiroshi "Hiro" Kawaguchi (who also did the unforgettable OutRun and Space Harrier music). The remastered OST comes in a two-record set; the first record features the complete arcade score as well as an unused "Melody Version" of the title track. The second record includes 3 arranged versions by S.S.T. Band recorded in 1988 and a modern medley played by SEGA Sound Unit [H.]. Two of these songs can be heard on Data Discs's SoundCloud channel. As with all Data Discs releases, 3 vinyl colors will be available: Purple and blue swirl for the limited edition, opaque purple and classic black. 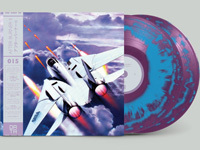 All editions cost £24.99 each, they are cut in 45RPM 180g vinyl and include a foldout poster of the original artwork featuring the iconic F-14 Tomcat (newly licensed for this release). Pre-order starts on Saturday 24th February at 19:00 UK time (20:00 CET) at Data Discs website (6 hours earlier for mailing list members). Records will ship in March. 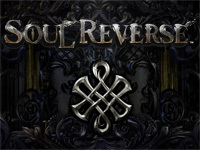 Announced by Sega in October 2016, Soul Reverse will at last be available tomorrow. Like Border Break, this is a 10 vs 10 battle action game but the action takes place in a fantasy world. The story sees the main hero having to summon heroes from other dimensions to help him save his world from destruction. The player can choose his hero among 4 classes: warrior (all-rounded), knight (close fighter), mage (mid-range attacker) and ranger (long range attacker). He can also invoke heroes to support his character. Those heroes can use devastating special techniques named Soul Arts. Among those heroes, you can find King Arthur (CV: Takuya Eguchi) whose Soul Art burns enemies, Pandora (CV: Ren Ueda) whose Soul Arts swallows enemies within boxes, Atalante (CV: Yoshie Mikami) whose Soul Arts shoots countless arrows to the enemies. Soul Reverse cabinet is equipped with a 32-inch touchscreen monitor, a USB charge port that can be used for charging smartphones, an earphone jack and a card reader that supports Aime and other electronic money. Controls are based on Border Break ones. Players can watch other players' battle, view various data, and see their own battle replay that they can also record to an USB memory stick by choosing "Make Movie" at the start of the game. The game is developed by AM2 and animation is produced by Production I.G. Interactions with the Soul Reverse Zero smartphone game are planned. 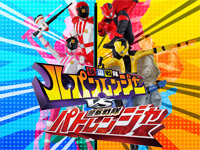 Super Sentai Data Carddass Kaitou Sentai Lupinranger VS Keisatsu Sentai Patranger is available in Japan today. This is the latest collectible card game from Data Carddass and it's based on the Kaitou Sentai Lupinranger VS Keisatsu Sentai Patranger Super Sentai series. It's the 42nd entry of Toei's long-running Super Sentai series and the broadcasting also starts in February. The show is the first to feature two different teams of heroes: the Lupinrangers, who embody the gentleman thief hero archetype, and the Patrangers, with a police motif. The two teams are rivals, but usually team up against the series' main villains. In the game, the player can enjoy a Robo Battle by inserting an additional coin of 100 yen. 34 cards are available and new ones will be added regularly. 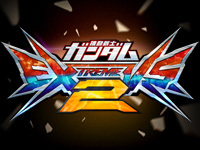 Today at JAPEO, Bandai Namco announced Mobile Suit Gundam Extreme Versus 2! The game should be released this year and they plan to start location tests in Summer. More info will be revealed soon and a teaser is available on the game website. 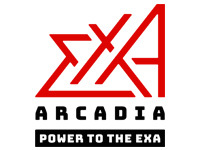 The exA-Arcadia system promises to be a revolution in the arcade world. In recent years, new arcade games in the West were mostly limited to light gun shooters and racing game genres. During this time, Japan has continued to experience more diverse games, mostly thanks to the NESiCAxLive platform. Alas, the way this system is operated restricts its use out of Japan. This situation was all the more frustrating for us as we spent our time talking about games that you would have the chance to play only during a visit to Japan or by expecting a possible port to other platforms. It had to change! The change began with the release of Fast Striker from NG: DEV.TEAM on MVS in 2010 and the release of Griffin Aerotech's Skycurser (and the Airframe platform) in 2017. Presented at JAEPO 2018 this weekend, the exA-Arcadia system has a more modern approach; aimed at HD and 31khz JVS cabinets, it has a power equivalent to the latest consoles and offers new services for operators as well as collector editions for private collectors. It's already supported by several Japanese developers (including former Cave employees) and European game studios. The first two games announced are the Aka & Blue Type-R et Super Hydorah AC shooting games. In order to learn more about it, we did an interview with Eric Chung who's part of the team behind this new system. You can read it here: Interview with Eric Chung (exA-Arcadia).